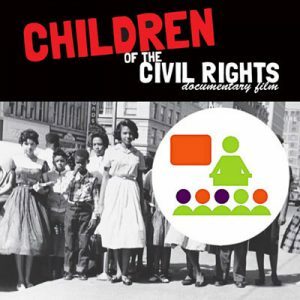 Civil is a documentary film about the making of America told from events found in young peoples diaries, letters and stories passed down from generation to generation. The story starts with the Iroquois Nation’s influence on the writing of the United States constitution, travels along the Trail of Tears and tells what it was like to live through the Jim Crow era, the Great Depression and the rise of Hitler. These historical layers lead to the success of the Civil Rights Movement and to the America that we know today. CIVIL shows how we gain or lose freedom incrementally, what democracy is and why it matters. that's when high caliber documentary films are made. 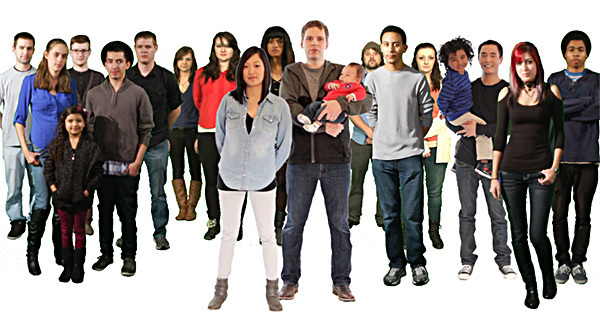 ... you are an integral part of THE TEAM! the LAUREL to our HARDY! First, check out WHY THIS FILM? below. Then review our GIVING LEVELS placed along side it. JOIN US at the level that best fits your budget. Check out WHY and GIVING LEVELS below. Then choose one of these 3 easy ways to join the team! Call us directly. We can take your credit card information over the phone, (we use QuickBooks). IT”S A GREAT WAY TO GO FOR SPONSORS SEEKING AWESOME ADVERTISING BENEFITS. VISIT OUR PATREON SITE TODAY! Do you like to use PayPal? PICKFORD FILM CENTER is a 501(c)(3) non-profit. PICKFORD’S tax ID-EIN is 91-1891456. I use to think freedom was solid, something gained but never lost. But as I made Children of the Civil Rights, I realized that freedom is like water. It’s like the kind of water contained in a reservoir. You can see that we do lose freedom and it happens just like the way a reservoir dries up … slowly … incrementally. As a Executive Producer, you are featured in the beginning of the film and at the top of the film credits. We also add your business logo the bottom of the film credits and on DVD packaging. You also receive a copy of the DVD and a link to the online version of the film that you can share with your constituents, colleagues, family and friends. PLUS … your gift provides UNIVERSITY LIBRARY BONUSES. Sometimes, the impact of past laws can take whole centuries to fully understand. This seems to be what America is facing now with Black Lives Matter, the Me Too Movement, immigration, the break up of unions, Native American tribes reclaiming their inherent rights as sovereign nations, fears around the majority’s ultimate shift into the minority … the list goes on. All of that is hard to grapple with. Looking back in history helps me to at least understand why we are the way we are today. As a Associate Producer, you are featured right under Executive Producer at the top of the film credits. We also add your business logo the bottom of the film credits. PLUS … your gift provides MUSEUM MADNESS BONUSES. Can I tell a story about the making of America to our young in a way that our young (and future leaders) will connect with? Can the young look back far enough so they better understand what they are seeing in today’s news? Can this story ultimately help the young to see their way forward so that in the future, they can lead our country in unity and with freedom intact? I thought about what interested me the most … and that was hearing the young peoples stories … seeing their point of view. I read about a Cherokee elder remembering when he was 9-years-old, how he and his family were rounded up and forced to march a thousand miles along the Trail of Tears. As a Producer’s Club Sponsor, you are listed in the film credits under Producer’s Club. PLUS … your gift provides schools with HISTORY EXTRAVAGANZA BONUSES. The Story of Samuel Cloud, a boy who turned nine on the Trail of Tears, retold by his great great grandson. … My mother is coughing now. She looks warn. Her hands and face are burning hot. My aunts and uncles try to take care of me, so she can’t better. I don’t want to leave her alone. I just want to sit with her. I want her to stroke my hair, like she used to do. My aunts try to get me to sleep by them, but at night I creep to her side. She coughs and it wracks her whole body. When she feels me by her side, she opens her blanket and lets me in. I nestle against her feverish body. I can make it another day, I know, because she is here. When I went to sleep last night, my mother was hot and coughing worse than usual. When I woke, she was cold. I learned about a young coal seller’s son who watched his friends change when they left school to work the factories and mines during the Industrial Revolution era. … Those sickly little boys we used to meet on fine summer evenings, towards six o’clock on the outskirts of an industrial town. … We would see them, pale-faced, bodies worn out already, a little bowl in their left hand, dragging their feet on the way to a factory. And they were only twelve! PLUS … your gift provides PUBLIC LIBRARY BONUSES. I read an excerpt from a 15-year-old girl’s diary who wrote about the day she and her family dashed across the land in attempts to claim it during a land run. … Suddenly there is a “Flash,” “Boom” from the soldiers’ guns and with a might cheer the crowd was off and away in a cloud of dust, horse-backers, in buggies, wagons, and on foot. And in less time then it takes to tell it, the crowd was over the little rise of ground to the east of us and out of sight and the sound grew fainter and fainter and soon died away in the distance. As a Movie House Mogul, you are the TITLE SPONSOR for THREE screenings on all marketing materials, press releases, public service announcements PLUS its shared with partnering organization’s guests lists. Your name will also be announced at all three screenings and during the Q&A/presentation that follows the film. Then I heard and account from a woman who remembered being 10-years-old living in the Jim Crow era. Her account horrified me. We we the only people brought to America in chain. … Back in 1933, I was 10-years old. My brother got really sick so we took him to the closest hospital. That hospital was segregated and they turned us away. My brother … he died. Each story comes from a young voice so there is an innocence about each recall, but when these stories are woven together … they tell a mighty tale. I realized then that the story didn’t need to be complicated. The answer to my question became simple. Now … it’s time to make the film! 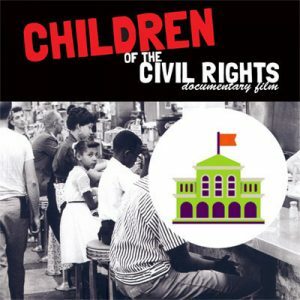 CIVIL is a documentary film about the making of America told through the eyes of the young. I hope you enjoy the process! I will absolutely love having you join our team and come along for the ride! JOIN US! And together, we will make CIVIL for our young and future leaders. As a Movie House Maverick, you are the TITLE SPONSOR for one screening on all marketing materials, press releases, public service announcements PLUS its shared with guests lists invites from partnering organization. Your name will also be announced at the screening and during the Q&A/presentation that follows the film. Please join us in making CIVIL. As a Super Star Sponsor, you are listed under Super Star Sponsor in the film credits. You also receive a copy of the DVD and a link to the online version of the film that you can share with your family, friends, colleagues and constituents. PLUS … your gift provides UNIVERSITY BONUSES that we match! How we match your gift … We will send an online link directly to Social Studies/History departments at twelve different universities so that the professors can share with all of their students. As a Actor’s Club Sponsor, you are listed under Actor’s Club in the film credits. PLUS … your gift provides PUBLIC SCHOOL LIBRARY BONUSES that we match! How we match your gift … We will send an online link directly to Social Studies/History departments at twenty different high schools so that the teachers can share with all of their students. As a Key Grip Club Sponsor, you are listed under Key Grip Club in the film credits. How we match your gift … We will send an online link directly to Social Studies/History departments at 3 different universities so that the professors can share with all of their students. PLUS … you receive a copy of the DVD and a link to the online version of the film that you can share with your family, friends, colleagues and constituents. As a Film Fans Club, you are listed under Film Fans Club in the website. PLUS … you’ll be one of the first receive TWO copies of the DVD, one for you and one you can share with your local library, school, friend or family. PLUS … you’ll be one of the first to receive a copy of the DVD, hot off the press!